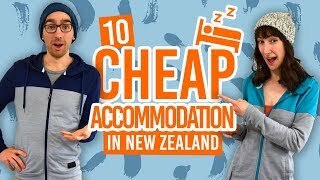 So, you’ve found a sweet little flat to rent or house share in New Zealand. You’re ready to settle down for a few months while working to fund the rest of your working holiday. But before you accept the keys to your new pad, there is some necessary paperwork to fill out and sign before living the dream. If you sign a written tenancy agreement or a house share agreement and a Bond Lodgement Form, then it is very likely that things will go smoothly during your stay in your long-term accommodation. If, for some reason, you have any disputes with your landlord or fellow housemates, it’s much easier to resolve them if you have the relevant paperwork filled out. Just remember to get a copy of the forms listed below and keep a record of your rent payments. 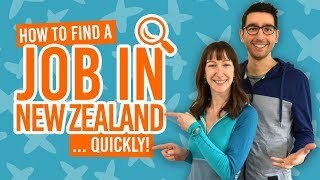 Here is a quick guide on how the usual process of renting a house or flat goes in New Zealand. Find a flat using one of these flat-finding resources. Contact the landlord or tenant for a viewing. View the house/flat, while asking questions. If you decide to move in, sign a tenancy agreement or a house/flat share agreement before moving in. Complete and sign a Bond Lodgement Form. If any disputes arise during your stay, be sure to talk to your landlord/housemates or take matters to the Tenancy Tribunal (for tenants) or the Disputes Tribunal (for flatmates). You can minimise the risk of disputes by following these tips. When you decide to move out, give the appropriate notice period as stated on your agreement. Once you have moved out, complete and sign a Bond Refund Form with the tenant or landlord. A tenancy agreement is a written agreement between you – the tenant – and your landlord. This is important to be covered under the Residential Tenancies Act, should any disputes arise. Having your tenancy agreement in writing also means it is clear what you have agreed to. Both you and the landlord should have a copy of the tenancy agreement. Your’s and the landlord’s full names and contact details. The start date of the tenancy. Address for service (where you want to receive mail regarding the tenancy) for both you and the landlord. Whether the tenant is under 18 years old. The rent amount and how frequently it needs to be paid. The bank account number where the rent is to be paid. Details of any additional fees, such as letting agent, to be paid if applicable. A list of the landlord’s personal possessions, such as furniture, fixtures and fittings. The end date of the tenancy, if it is a fixed-term tenancy. The landlord can add extra conditions to the tenancy agreement as long as it complies with the law. Some rights are implied although may not be explicitly written in the tenancy agreement, so take a look what your rights as a tenant are here. A house/flat share agreement is for flatmates/housemates of the tenant or landlord. It is similar to a tenancy agreement in that it is a written agreement so that you and the tenant (or landlord) are aware of what the house or flat share involves. However, a flatmate is not covered by the Residential Tenancies Act, because you are not part of the tenancy agreement. How many day’s notice you need to give before moving out. Any other conditions can also be added to house/flat share agreement. You can see what your rights as a flatmate are here. A bond acts as a security deposit for the landlord. This is to cover the landlord of any unpaid rent and/or property damage caused by you. The value of the bond can be anything up to four weeks’ worth of rent and is asked for before you move into a house. You will get this money back when you move out, or part of the bond back if there are any damages or outstanding rent payments. However, it is not the landlord who holds the money, but the Tenancy Services, which is part of the Ministry of Business, Innovation and Employment (MBIE). That’s why it is important to fill out a Bond Lodgement Form, which must be signed by both you and your landlord. Online on the Tenancy Service’s website – You and your landlord must upload the completed and signed Bond Lodgement Form, fill in the online details, and pay the bond online. By cheque – Fill out the Bond Lodgement Form with your landlord, sign it, then send the form along with the cheque to Tenancy Services, PO Box 50445, Porirua 5240. Next, you will receive an acknowledgement from the Tenancy Services, which you should keep. For details on your bond rights as a tenant or flatmate, check out our article: What Are Your Rights as a Tenant or Flatmate in New Zealand. When it comes to the end of your tenancy, i.e. you move out of the property, you and your landlord will need to lodge a bond refund form so that you either get a full refund of your bond, or the bond money is split to reflect any unpaid rent or intentional or carless damages to the property. This doesn’t include wear and tear. Both you and the landlord need to agree on the bond refund amount in order to sign the Bond Refund Form. You can download the Bond Refund Form from the Tenancy Services website. Post to Tenancy Services, PO Box 50445, Porirua 5240. Scanned and emailed to bond.refunds@tenancy.govt.nz. You will then receive the bond refund usually within three working days. If your landlord will not sign the form, send the form anyway and the Tenancy Services will contact your landlord. If the land lord replies and agrees or doesn’t reply, you will get a full bond refund. If the landlord disagrees, then the bond refund will not be paid. You will either have to both agree to the refund or take the matter to Tenancy Tribunal who essentially will have to decide how the bond will be refunded. Some landlords or tenants state in the agreements that they prefer automatic rent payments. Whether compulsory or not, this is a good way to make sure you never forget a rent payment and breach your agreement. Although you can set up the automatic payment by visiting the bank, the easiest way to set it up is through online banking. Be aware that some New Zealand banks have a small fee for setting up an automatic payment. It is a good idea to include your name and room number (if applicable) as a reference. Finally, cancel your automatic payment just over a week before your last rent payment is due, as some banks can take a week to process the cancellation.